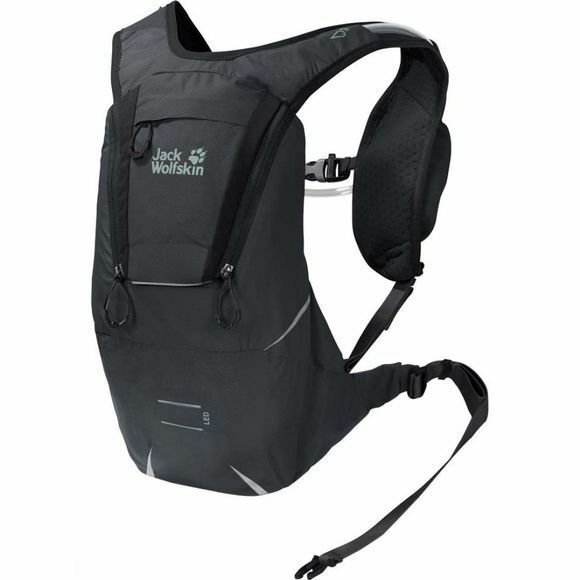 The Crosstrail 6 Rucksack from Jack Wolfskin is purpose-made for outdoor sports. 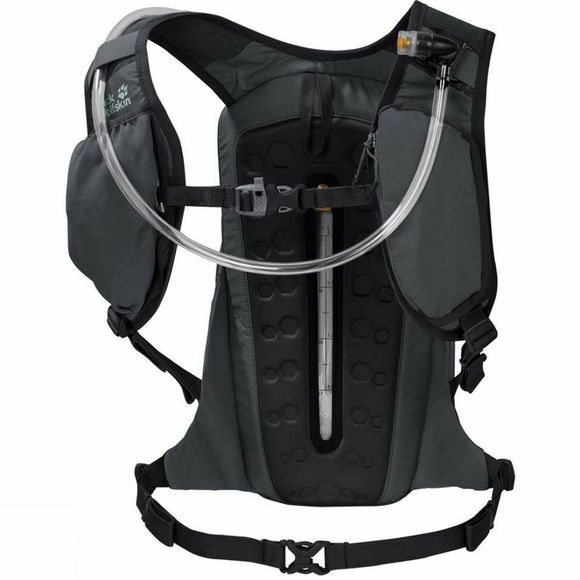 It has an integrated 2 litre water bladder to help you stay hydrated, a crucial factor if you want to maintain your performance. A fill level indicator built into the back pad helps you to monitor your fluid intake. The water bladder is equipped with a special 'Quick Connector', which allows the tube to be easily detached when you need to fill up again. A magnetic fastener on the shoulder strap holds the tube firmly in place so it doesn't wobble about and the mouthpiece is always easily accessible. It has a lightweight back system that provides a snug fit while giving you the freedom of movement you need for active outdoor sports. There is space for small items like your mobile phone or energy bar in the pockets on the shoulder straps.